Seneca Savings now offers its customers surcharge-free access to their cash at 55,000 ATMs as part of a new partnership with Allpoint, the world’s largest surcharge-free ATM network. Complementing and expanding upon the bank’s existing fleet of ATMs, the Allpoint surcharge-free ATM network makes cash access quick, easy and fee-free for Seneca Savings customers. 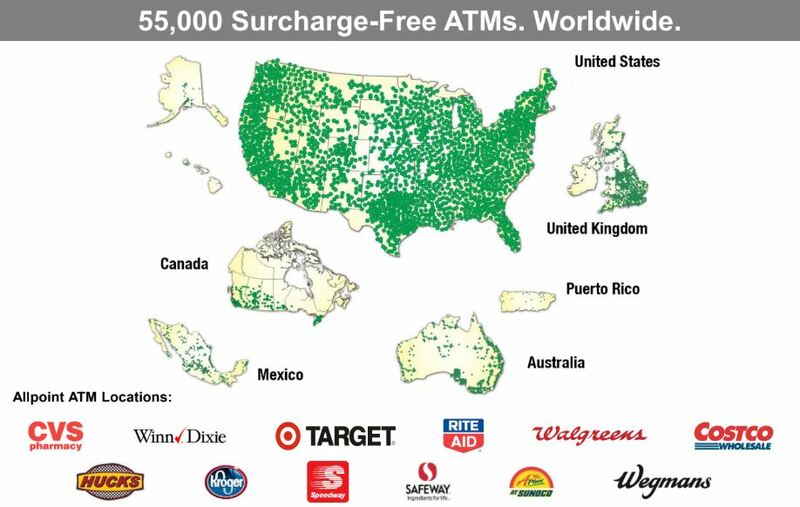 Here is what it looks like to have 55,000 ATMs worldwide!